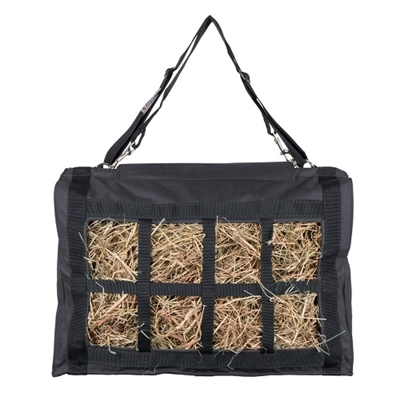 The Dura-Tech Slow Feed Hay Net slows consumption, minimizes hay loss and is beneficial to horses with metabolic and weight issues. 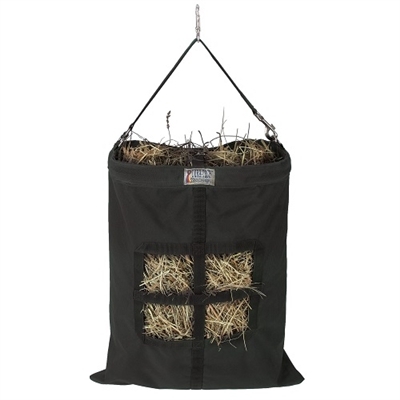 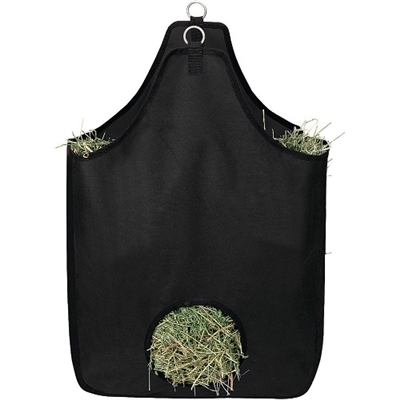 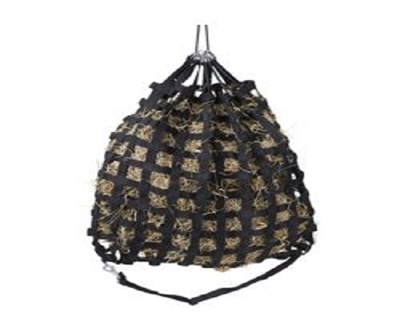 Made of soft nylon rope, this hay feeder features medium 2" x 2" diamond shaped holes that restrict consumption but prevent frustration. 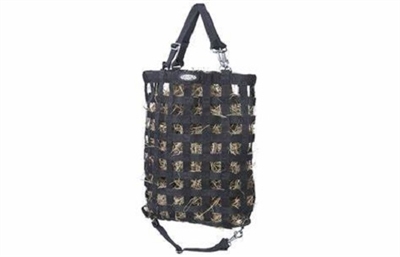 The stainless steel bottom ring allows many options for hanging height while the top rings offer a wide opening and easy loading.